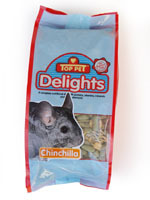 These nuggets are made with Burgess unique blend of grass, herbs, plants and other forage ingredients, developed to replicate your rabbits’ ancestral diet. For more information on these Nuggets, including feeding guidelines, please click on ‘Description’ below. Purchase this product now and earn 250 Paw Points! In crafting this nugget, Burgess took inspiration from the Great British hedgerow, and tried to capture the essence of their ideal diet. Rabbits are adept at drawing fibre and key nutrients from a wide range of sources, and that’s a principle Burgess always strived to follow. 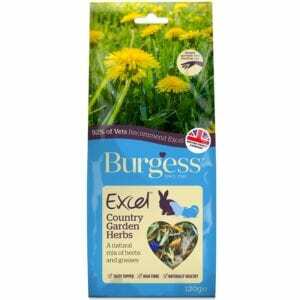 It took Burgess over a year working with nutritionists and a leading agricultural college to perfect the blend. The grass is then blended with a range of hedgerow ingredients such as nettle leaves, lemon balm and dandelion, all of which are naturally packed with beneficial vitamins and minerals, as well as being deliciously tasty and adding variety into your rabbits’ diet. 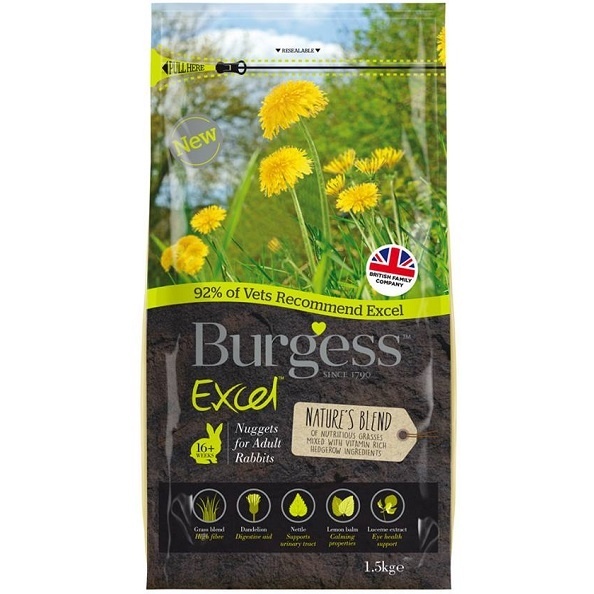 What’s more, because the recipe is based on Burgess classic Excel formula, we’re confident that your rabbits will just love it! 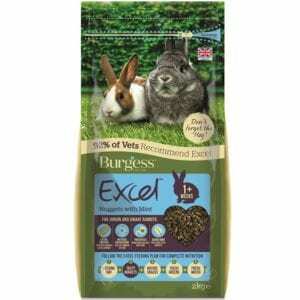 Sticking to The Excel Feeding Plan will ensure your rabbits get the right amounts of fibre in their diet. The Excel Feeding Plan was developed by the world’s leading small-animal vets, to provide a perfect daily balance of fibre and nutrition. High-quality, dust extracted feeding hay should make up 85-90% of your rabbit’s diet. You should make sure it is freely available and replaced with fresh hay every day. 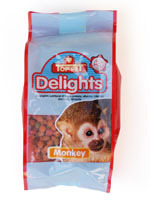 They are especially good for dental health as the gnawing action required to eat them helps to wear down teeth.